So I was bored this afternoon and wanted to actually achieve something so I went to my craft room and finished 5 things. Now I have a keyring to put on my car keys thankfullly. 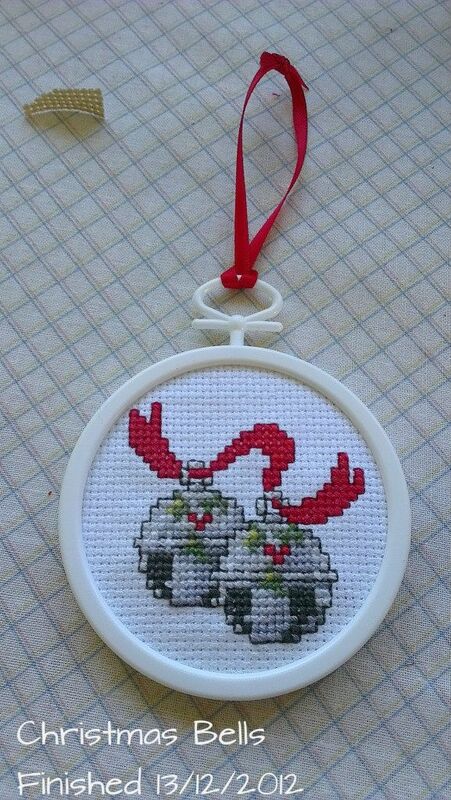 Then I started on my Christmas ornaments. The small ornaments I didn't want to do up as a pillow so I just backed them with felt and put some ribbon in there as well and glued them together. They look cool. I finished these two exactly the same and added a little bow. You haven't seen the stocking at all I have been kinda working on it this week. I haven't been stitching much though I have been cleaning. 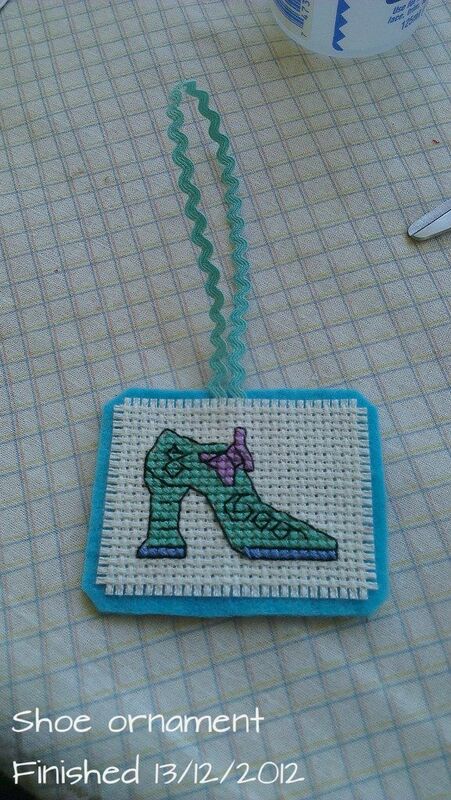 I also finished up a shoe as a Christmas ornament because I couldn't think what else to do with it! 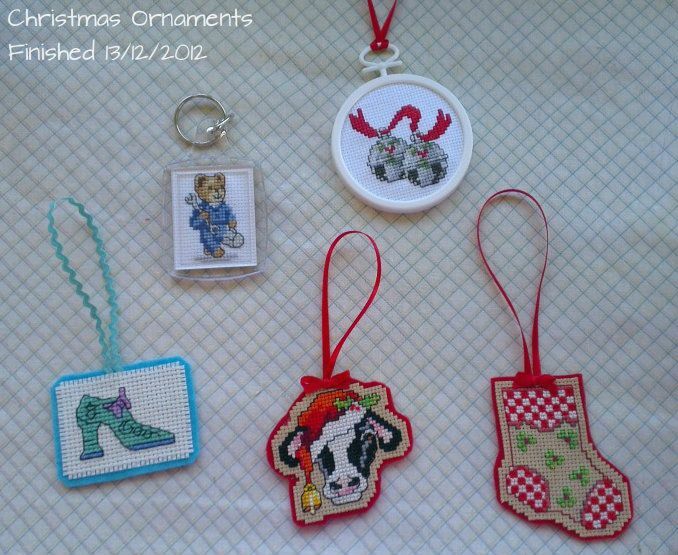 Wow all the ornament are so cute..
they all are so cute, my fave is the teddy key ring. congrats! They're all very pretty ornaments, well done. 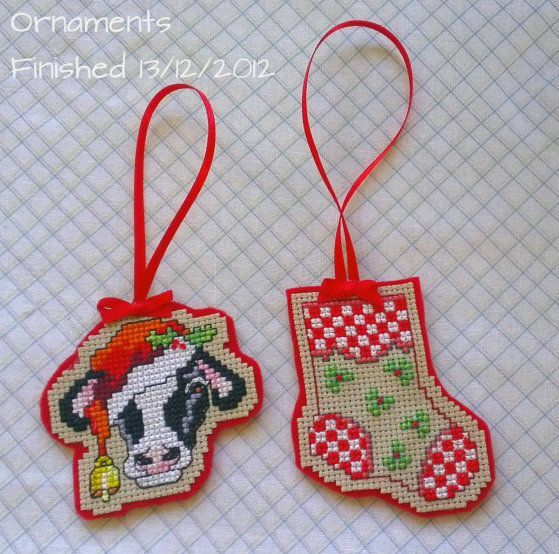 Real cuties, I love the Christmas cow. Oh you did wonderful finishing, Caitlin! I love the keyring. 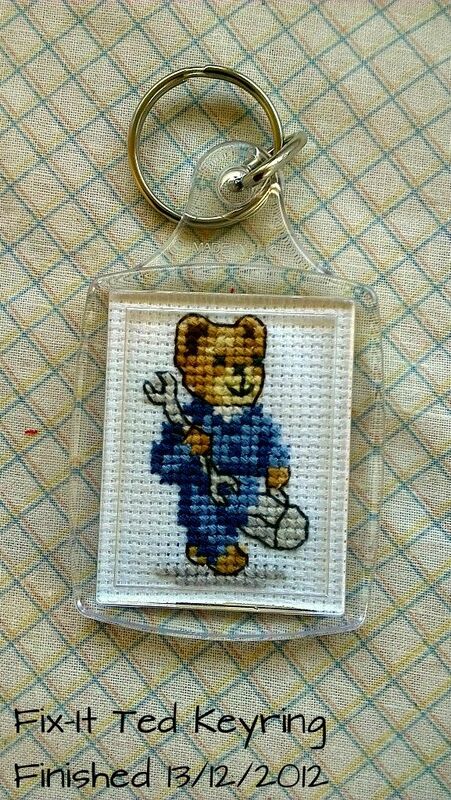 Fix-It Ted is adorable! Oh Caitlin, what cute ornaments. I love the way you finished all of them. Great job! Finishing is always the hardest part for me. They all turned out great. You make it look so easy!